Evoking our heritage, this distinctive long necklace is a striking balance of art and craftsmanship in a feminine design with a modern twist. A shimmering and high polished bead strings stands out delicately around your neck. 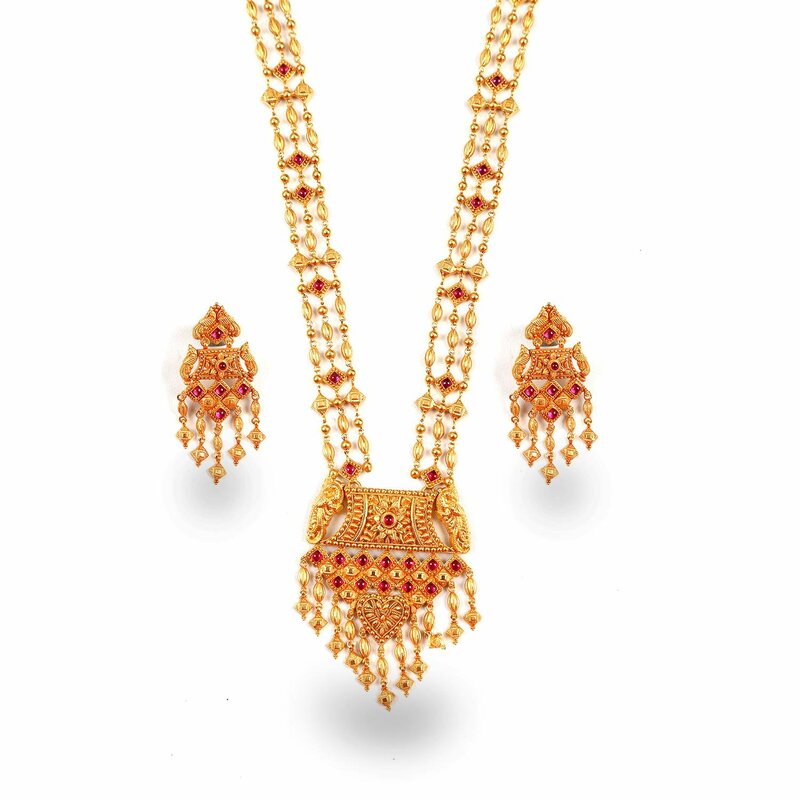 Crafted 22kt gold, this necklace is ideal to enliven your special occasion.